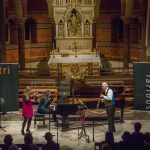 On Wednesday 23rd January Cranleigh Music held its annual Helen Wareham Pat Dixon Woodwind Performance in the recital hall. 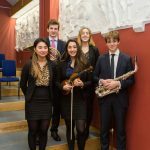 A total of ten Music Exhibitioners and Scholars took part in an excellent evening of competition that featured a wide variety of music from John Williams film scores to Mozart concerti. 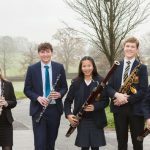 Ultimately though, in a competitive event, there had to be winners and the three seniors put through to the Helen Wareham final in March were George Chilcott (Lower Sixth Form, alto saxophone), Bea Pakenham-Walsh (Upper Sixth Form, oboe) and Tom Hills (Lower Sixth Form, clarinet). 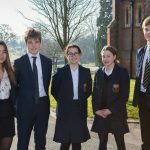 In the juniors the top three positions were awareded as follows: first place, Hannah Scriven (Fourth Form, bassoon), second place William Marshall (Upper Fifth, alto saxophone), third place Lucy Andrews (Fourth Form, bassoon). 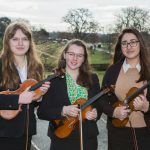 Well done to all who performed for an excellent evening of music making.